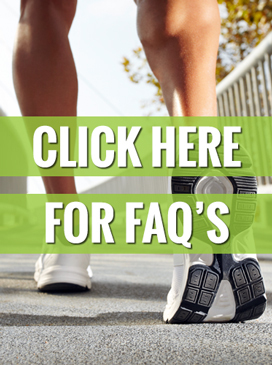 Below are some frequently asked questions about Chiropractic Care itself and East Lansing Chiropractic Clinic serving the Greater Lansing area. Are health insurance plans accepted at East Lansing Chiropractic Clinic? Are sports injuries treated at East Lansing Chiropractic? East Lansing Chiropractic has two dedicated Chiropractors with over a combined 35 years of Chiropractic experience. Dr. Limonoff. and Dr. Barricklow are skilled in many different areas of Chiropractic Care and our healthcare plans are individually tailored to your specific case. We strive to get you feeling and functioning as well as possible. We want you enjoy your life to the fullest while feeling health and happy. According to the American Chiropractic Association, "Chiropractic is a health care profession that focuses on disorders of the musculoskeletal system and the nervous system, and the effects of these disorders on general health." Specifically, chiropractic examines the overall function of the body. The body's skeletal, muscular, neural and vascular systems are examined and then optimized (treated) using physical medicine (hands-on or mechanical means) to treat patients. Most chiropractors are also schooled in nutrition and therapy, incorporating therapeutic modalities, nutritional counseling, and diet supplements in their patient's care. Chiropractic works by restoring your own inborn ability to be healthy. When under the proper control of your nervous system, all the cells, tissues, and organs of your body are designed to resist disease and ill health. The chiropractic approach to better health is to locate and help remove interferences to your natural state of being healthy a common interference to the nervous system is the 24 moving bones of the spinal column. A loss of normal motion or position of these bones can irritate or impair the function of the nervous system. This can disrupt the transmission of controlling nerve impulses. With improved spinal function there is often improved nervous system function. Your chiropractic doctor at East Lansing Chiropractic Clinic can help remove interferences that may be impairing normal health. Since the primary focus of your care is improved nervous system function, chiropractic can have a positive effect on many health conditions not normally thought of as "back" problems. Chiropractic care has an excellent safety record. It is the result of a conservative approach to health that avoids invasive procedures or addictive drugs. A very thorough case history and examination performed on the patient help reveal areas of the spine that may be causing nervous system malfunction. This information will be used to determine the best course of care for each patient. Chiropractic care is a natural approach to better health that is proven safe and effective. Yes, personal and group health insurance plans are accepted at East Lansing Chiropractic. In fact, East Lansing Chiropractic is a preferred provider for most insurance plans utilized in the greater Lansing MI area. All health plans are subject to their specific explanations of benefits. East Lansing Chiropractic is contracted with most major medical plans and all co-pays are due at the time of service, as dictated by those individual plans. Yes. Sports related injuries are among the most common treated at East Lansing Chiropractic Clinic. Some sports injuries occur suddenly while some appear over time. Appropriate treatment is needed to heal from these injuries, as is education in preventative and stabilizing stretches and in exercise in order to excel at the preferred sport, free of further injury. Spinal problems, neglected since early childhood, may require ongoing supportive care for optimum spinal function. These long- standing problems are often associated with muscle weakness, soft tissue damage, and degenerative changes to the spine. Some patients seek chiropractic care only when their ache or pain becomes unbearable. While this style of "crisis management" is usually more costly and time-consuming, our office stands ready to help all patients, regardless of their health goals. How long you decide to benefit from chiropractic care is always up to you. Periodic chiropractic checkups, like brushing and flossing, getting regular exercise, and eating wholesome foods is part of a healthy lifestyle. Yes. Chiropractic is very important during pregnancy. Low back, mid and upper back pain often accompanies pregnancy and drugs are avoided. Chiropractic, being a non-drug therapy is the logical choice for expecting mothers, making the pregnancy experience less stressful for the mother and the baby. Educating the mother in self-massage and positional awareness is also very important to the mother and the baby. Yes, if needed. Even "fender-benders" can cause hidden injuries that can develop into pain, headaches, and arthritis. Even worse, most people who have been involved in an auto accident may not even know that they've been hurt. Most doctors give painkillers to hide these injuries. The chiropractic approach to these types of injuries is to use specific chiropractic adjustments to help return spinal function. After a thorough case history and examination, the one of our Chiropractors at East Lansing Chiropractic Clinic will recommend any necessary care to help restore proper motion and position of spinal bones. If caught early enough, inflammation can be reduced and scar tissue can often be minimized. The Greater Lansing MI Chiropractic team of Lumonoff. and Barricklow., treats many of the ailments of an auto injury including: Whiplash, Sprains, Strains, Shoulder Pain, Neck Pain, Headaches, Numbness, Dizziness, Vertigo, Lower Back Pain, Pain in Legs or Arms and Car Seatbelt Injury. We are committed to offering chiropractic care where your treatment program will be individually planned according to your symptoms and spinal condition. Copyright © 2019 East Lansing Chiropractic Clinic. All Rights Reserved. Medical Web Design, SEO and Medical Marketing by Practice Maximization, a division of Web Traffic Partners, Inc.